Justice Fybel was born and grew up in Southern California. He is a graduate of the University of California at Los Angeles (A.B. 1968) and the University of California at Los Angeles School of Law (J.D. 1971; Law Review; Order of the Coif). In February 2002, his appointment as an Associate Justice of the Court of Appeal, Fourth District, Division Three (Santa Ana) was confirmed by the Commission on Judicial Appointments. At the time of his appointment, Justice Fybel had been a judge of the Orange County Superior Court since April 2000. His assignments included criminal and civil cases. Since 2004, Justice Fybel has been the Chair of the California Supreme Court’s Advisory Committee on the Code of Judicial Ethics. He is a co-author of the Fourth Edition of the California Judicial Conduct Handbook (2017). Justice Fybel was an Advisor to the Commission for the Revision of the Rules of Professional Conduct of the State Bar of California. He was the Chair of the California Supreme Court committee responsible for recommending the structure and rules for the Supreme Court Committee on Judicial Ethics Opinions. Justice Fybel received the President’s Award from the California Judges Association, the Franklin G. West Award presented by the Orange County Bar Association (OCBA), and the Sills Award for Appellate Excellence from the Appellate Section of the OCBA, the highest honors of those organizations. Justice Fybel was the 2005 UCLA Law School Alumnus of the Year for Public and Community Service. He received the Award for Achievement in Public Service from the Public Interest Law Foundation of Chapman University School of Law. He also received the President’s Award from the Ferguson American Inn of Court and the Lifetime Achievement Award from his undergraduate fraternity at UCLA. Justice Fybel is Adjunct Professor at the Fowler School of Law at Chapman University, co-teaching a seminar on The Holocaust, Genocide and the Law. He is a founder of the Ruth and Ernest Fybel Endowed Fund for Literature on Children of the Holocaust, established at the Chapman University Samueli Holocaust Memorial Library. Justice Fybel co-edited with Professor M. Katherine B. Darmer the book entitled National Security, Civil Liberties, and the War on Terror published by Prometheus Books. He is the author of a chapter in the book entitled “The Absence of Judicial Ethics: The German Legal System, 1933-1945.” An adaptation of the chapter was published in California Litigation (the Journal of the Litigation Section of the State Bar of California) and in the Riverside Lawyer magazine. Justice Fybel spoke on this subject to the State Bar of California; the California Judges Association; the Unity Bar of Sacramento; the Court-Clergy Conference; the San Diego Appellate Inn of Court; The League of Women Voters—Orange County; UCI School of Law; McGeorge School of Law; Appellate Defenders, Inc.; the Chancery Club of Los Angeles; law students organized by the Public Law Center; the OCBA’s Jewish Bar Association; the American Jewish Committee; the BYU Management Society (Sacramento Chapter), the St. Thomas More Catholic Legal Society, and the J. Reuben Clark Law Society; University Synagogue; the Office of Medicare Hearings and Appeals; the Cardozo Society; a symposium at Chapman University; the Ferguson Inn of Court; Soka University; and the California Academy of Attorneys for Health Care Professionals. Justice Fybel was a member of the Holocaust Program Planning Committee for “How the Courts Failed Germany,” cosponsored by the United States Holocaust Memorial Museum, the University of California and the Judicial Council, and was a panel member in the program at UCI. Justice Fybel spoke at the opening of the exhibit created by the German Federal Bar entitled “Lawyers Without Rights—Jewish Lawyers in Germany Under the Third Reich” at both Southwestern and Chapman Law Schools. Justice Fybel gave a keynote speech in Nuremberg Courtroom 600 in observance of the 70th Anniversary of the Nuremberg Trials. Justice Fybel is the author of A Fond Remembrance of M. Katherine B. Darmer published in volume 16, Chapman Law Review 249 (Winter 2013). He is also the author of Assassins In Judicial Robes published in Gavel to Gavel, the Los Angeles Superior Court Judicial Magazine (Spring 2013). On the 75th Anniversary of Kristallnacht, Justice Fybel commemorated the anniversary with a speech at an Interfaith Service of Remembrance at Chapman University. He spoke at the observance of the 80th Anniversary of Kristallnacht, at the event sponsored by the Central Valley Holocaust Educators’ Network in Sacramento. Justice Fybel is a member of the Boards of Advisors of the Fowler School of Law and The Rodgers Center for Holocaust Education at Chapman University. He is a member of the Jewish Law Institute Advisory Board of the Touro Law Center (New York). 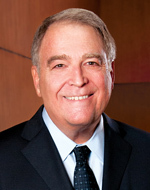 Justice Fybel was the President of the Board of Directors of University Synagogue in Irvine from July 2010 through June 2012. He is a member of the JSerra Catholic High School Pre-Law Magnet Advisory Board. Justice Fybel gave keynote speeches on civility and ethics to Orange County high school students participating in a mock trial program at JSerra. Justice Fybel was a member of the Judicial Candidate Conduct Task Force of the California Commission for Impartial Courts. He addressed the subject of judicial ethics in campaigns at a symposium on “Judicial Ethics and Accountability: At Home and Abroad” at McGeorge Law School and is a co‑author of an article on the subject published in volume 42 University of the Pacific McGeorge Law Review 135 (2010). Justice Fybel is the author of Honest Lawyers Make Good Lawyers—Thoughts on Ethics and Civility in the Legal Profession (Nov./Dec. 2006) 19 Utah Bar J. 11. He was the commencement speaker at the graduation of the Class of 2010 at Chapman Law School. In 2017, he co-chaired the committee that drafted the “Civility Guidelines” for the OCBA. Justice Fybel was the President of the UCLA Law Alumni Association and an officer of the Board of Trustees of the Orange County Public Law Library. He is a member of the Boards of Directors of the OCBA Masters Division and the Association of Business Trial Lawyers, Orange County Chapter (ABTL). Justice Fybel has also served as a member of the Kleps Award Committee, honoring contributions made by California courts to the administration of justice; the UCLA Foundation Board of Councillors; a judge for the Constitutional Rights Foundation, UCLA School of Law, Chapman Law School, the statewide Traynor Moot Court Competition, the regional finals of the Jessup International Law Moot Court Competition, and the New York City Bar Association National Moot Court Competition; and a speaker in school programs sponsored by the Orange County Education Department and the OCBA. Before his judicial appointment, Justice Fybel was a partner in the law firm of Morrison & Foerster LLP. Justice Fybel specialized in civil business litigation.